A lot has changed since our founding in 1934, and in many ways, we’ve changed right along with it. However, there’s one thing that hasn’t changed – the friendly, personal, and genuine service you’ll get at SPIRE. That isn’t quaint, or something that used to happen back in “the good old days.” It’s happening here, and it’s happening now. Driven by Midwestern Values, we are here to improve lives. For 85 years we have been driven to improve lives. 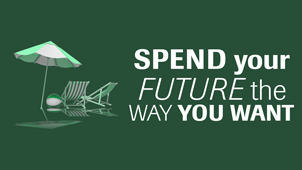 See the SPIRE difference & make the switch. Subscribe to updates from our official news source. Attend a SPIRE event or informational session. See how SPIRE lives out its Core Action everyday. Times were bad back in 1933. The Great Depression was at its height; jobs and money were scarce. Banks that had survived the crash of 1929 had little cash, and they were not lending it. To save their homes and farms, people were forced to do business with loan sharks at 36% interest. In the historic and economic circumstances of the Great Depression, Twin City Co-ops Credit Union (TCU), was born in 1934 in response to the pricey and strict loan practices of the remaining banks. The ideals of self-help, people working together to save their money, lending to each other, and paying back their earnings to each other in the form of dividends were the pillars of the new credit union. The idea of a credit union started with Edgar Archer. Archer was an employee of what was then called Midland Cooperative Oil Association. Before starting at Midland, Archer had been out of work for some time, resulting in a number of unpaid bills. Now that Edgar was employed, he applied for loans everywhere, but one by one, he was turned down. He wanted to “do the right thing” and pay his debts. Edgar did not give up. He had been hearing about an employee credit union, so he thought, why not start one at the Midland? By February 1934, enough of his fellow workers agreed with Archer, so seven of them applied for a certificate of organization, and by March 13, 1934, they incorporated. Through the foresight of the original founders, the credit union escaped the narrow confines of an employee credit union and has grown significantly because of the doors that he opened. 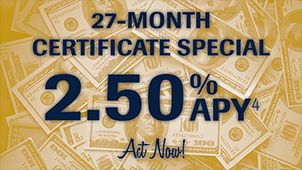 When TCU opened their doors, the loan maximum was set at $50 with interest at 1% monthly on the unpaid balance. Edgar Archer was the first to apply for and receive a loan. TCU became SPIRE Credit Union in 2008 and expanded on the ideal of "doing the right thing." Since 1934, we have proudly served the residents of Minnesota and Wisconsin. Currently, SPIRE has nearly 20 branch locations in the Twin Cities Metro area and Greater Minnesota. Whether you are just starting out in life, own your own business, or are close to retirement, SPIRE would like to be your total financial solution. 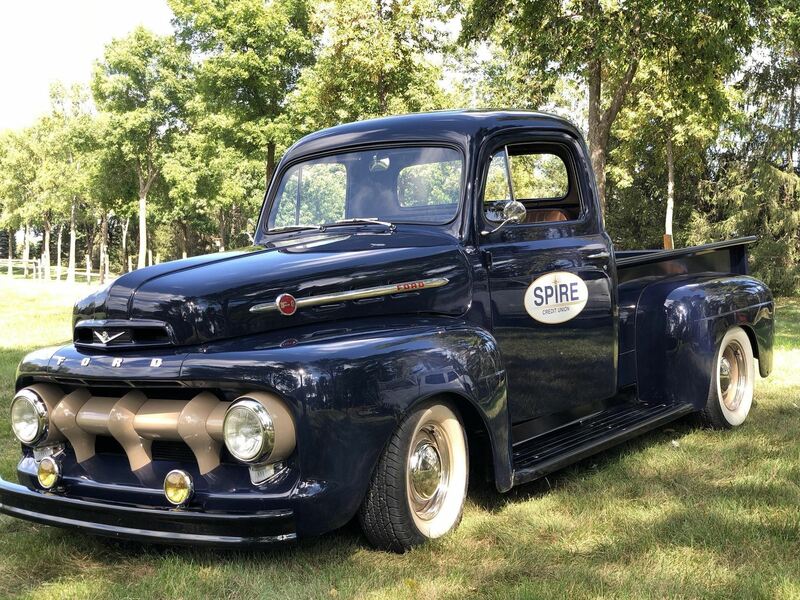 You might ask, "So what does an early-model Ford work truck have to do with a credit union?" To us, Archie – named for our founder, Edgar Archer – symbolizes the Midwestern values that drive us. Trust. Honesty. Integrity. Hard work. Compassion. Humility. Promises made and promises kept. Archie is featured in the SPIRE testimonial commercials with real SPIRE members and partners and has become our unofficial mascot. "When I entered the credit union, I was immediately impressed with the welcoming spirit of the people. I was impressed with the kindness and courtesy that my wife and I received." "We have been SPIRE Members for about thirty years, including when we moved to Princeton. 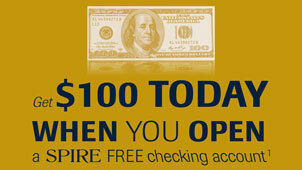 I like the friendly, personal service whenever I got to any SPIRE branch." "I observed how all employees help and support each other and the customer is the recipient of that teamwork." "We are satisfied with the wonderful, personal service we received. You are helpful, right there to greet us when we come in, know us by name, and provide good counsel and advice. It is just a great place to come and do business knowing that honesty, integrity and friendliness is important and we will be taken care of." "Best mortgage experience we have ever experienced - and we have purchased six homes. The communication was great, the documentation expectations were clear, everything was done on time, and whenever we had a question it was answered promptly. Thank you so much!" "I have and will continue to refer others to Spire. Our experience since opening our first account has been helpful, personal and respectful. 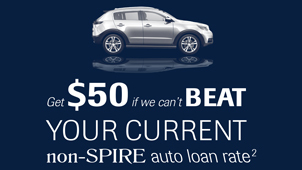 When we needed a car loan, we were approved within minutes, by phone, and for a higher amount than we expected. 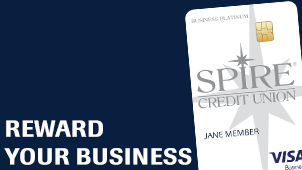 Hans treated us like respected customers with SPIRE as our partner in securing our financial needs." "I feel they provide extra security when it comes to attempts to compromise our accounts and the best part is they can issue check cards on the spot - no waiting for 10 days for your new one to come in the mail! We also appreciate the use of numerous ATMs to get cash without paying a fee." "I thought Wendy did a great job in explaining everything and it seems she understood my investment "style" very well, which was helpful in determining my retirement plan for the future." "I recommend SPIRE to others because of the reliably high standards of ethics and honesty from your staff. The representatives with whom I interact are knowledgeable, courteous and complete my transaction requests efficiently." "My family would like to truly thank you. My mother fell and broke her hip and had to go into rehab. SPIRE provided a loan so we were able to purchase a van and have the ability to start taking our mother out for rides. Our mother totally regained her self-respect and began starting to eat better, was happier and enjoying life again. We really appreciate the loan as it has given our mother’s independence back." "I am happy and confident that you care about your customers by providing a friendly atmosphere-like small town family." "The representative was engaged, listened and I felt she really cared and wanted to help me. If this is indicative of SPIRE’s customer service then I want my family and friends to receive the same service." "Dalton has been the best customer service representative I have ever dealt with because he is so knowledgeable, helpful, friendly and awesome. Keep up the great work." "I have never been disappointed by service, timeliness or their interest in my needs. I have now turned to SPIRE two times now for a mortgage. This team of people are outstanding by being timely, engaged an informative. These have been big, kind of scary financial decisions for me yet they have guided and supported me every step of the way." "Recently, I refinanced my home and worked with Cyndi. She was extremely knowledgeable and helpful as we worked on the loan. She went the extra mile to find the best possible solution for my specific situation. I have, and will continue to recommend SPIRE for mortgage banking."